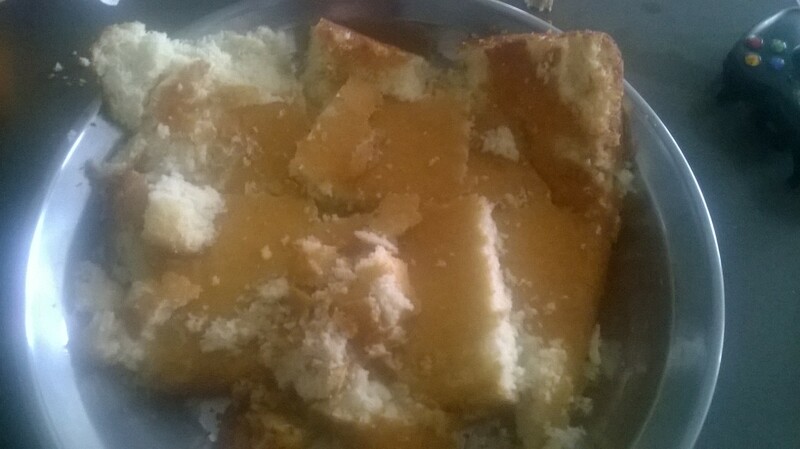 I started with a basic vanilla cake. 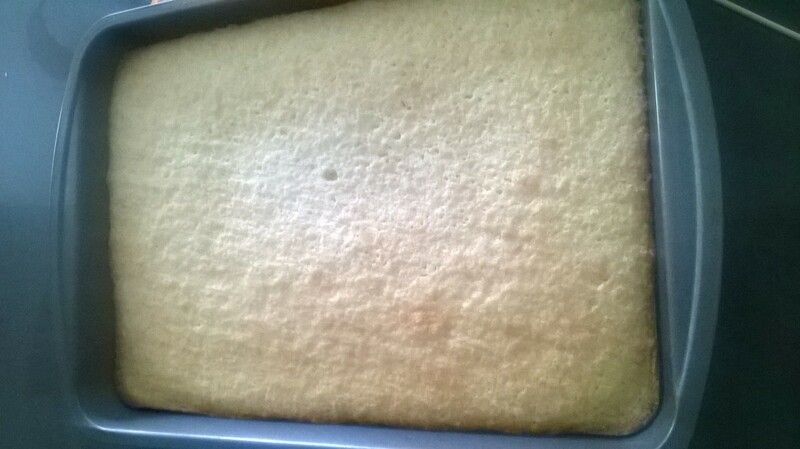 I used a 9 X 13 pan to bake it all at once.You can also bake it in two 9 x 9. 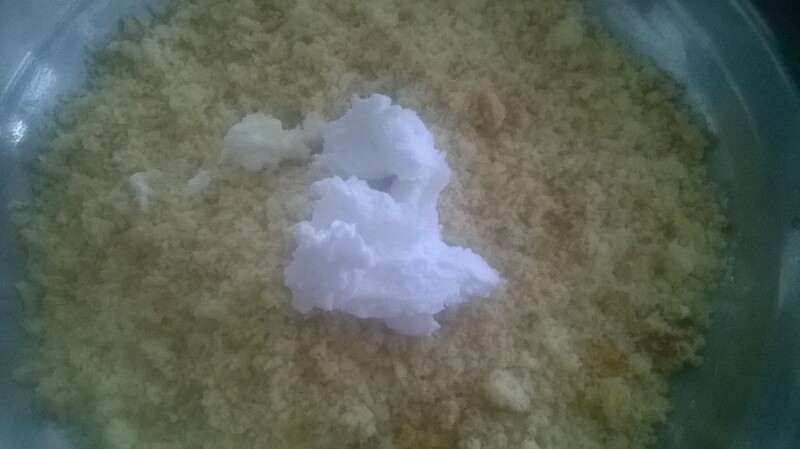 Once the cake was out of the pan,I made the cake it into a powder form by breaking it into tiny crumbs. Infact,I was thinking cake pop is the answer to any baking disaster. 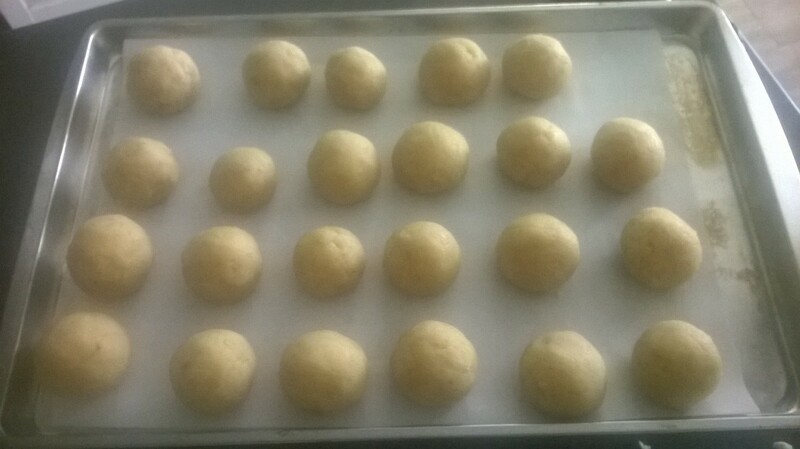 I added about 3/4 cups of homemade buttercream and started to make balls. I wanted to have the same size ,so I used an icecream scooper to scoop the dough and then make it in a ball. I placed the balls on a parchment sheet and let it sit for atleast an hour. 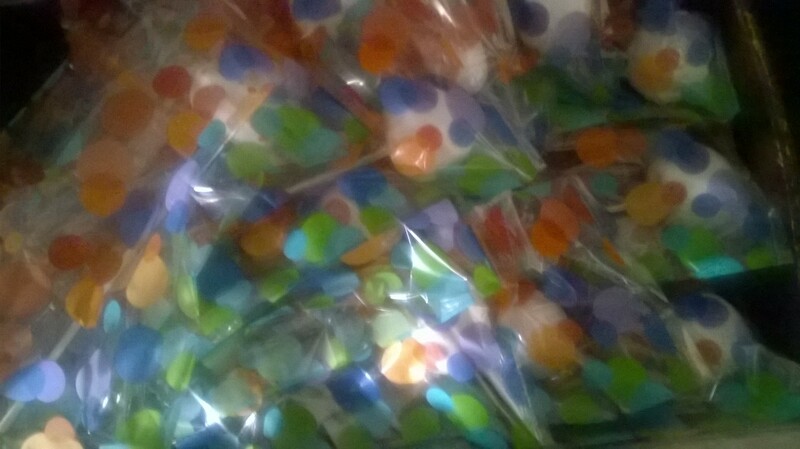 I got candy melts and melted them according to the package(one minute,and stir). First,I dipped the cake pop stick in the candy from the tip and inserted it gently in the cake pop,almost half way through. Once the stick was in,I dipped it in the candy melt. But as with any plan,I had some mishaps,no,quite a lot of mishaps. I started to run out of candy melts and did not have the energy to take Zoya to Michaels and talk her out of not buying any candy or other junk. 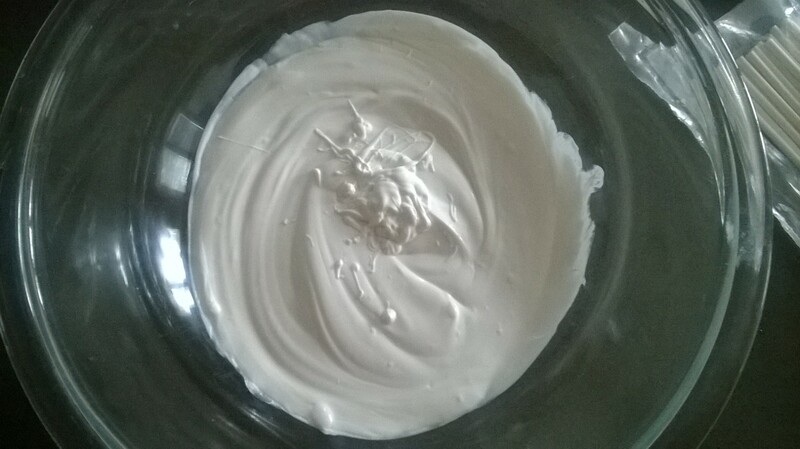 Instead,I used my leftover buttercream to mix with the reminants of the candy melt. It worked out well. I added sprinkled to this batch. Initially,I was planning to make a goat face on the cake pop,but once again it was just a thought. In reality,I tried painting but in vain…the food coloring just didnt seemed to mingle with the candy melt frosting. Next time, I would opt for a smaller size for cake pop mold and buy extra bag of candy melt. 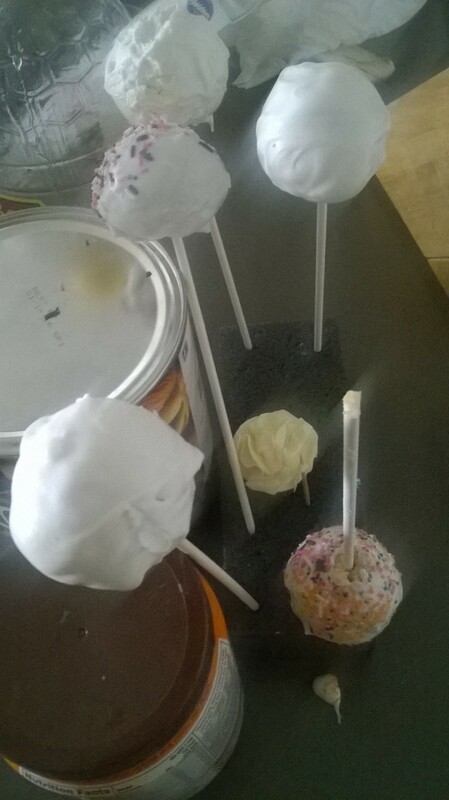 Some of the cake pop fell right thru the stick! My expert taste testers enjoyed the cake pop.